The push to make small changes in daily consumer habits, like recycling or forgoing plastic bags at the store, has infiltrated arenas outside people's homes. Literal arenas, in fact: Live Nation, Coachella, and Stagecoach have all announced a ban on plastic straws in conjunction with non-profit Lonely Whale's "For A Strawless Ocean" campaign. Live Nation will be offering a marine-friendly alternative made from paper, in all of their spaces across the U.S., according to Billboard. Coachella and Stagecoach, which are both organized by Goldenvoice, have been phasing out plastic straws, and will soon be the first North American festivals to be straw free. This seems to be of special importance to organizers, as director of festival marketing for Goldenvoice, Mapi Moran, says it's the first of several other environmental initiatives coming up. But it's no surprise—festivals have been growing as a place where people are not only connecting with music, but with their responsibility to the earth. Join the movement For A #StrawlessOcean. Swipe and screenshot your favorite image, then post your pledge to start making positive impact for the ocean. 💙 Step 2? Download the toolkit. Link in our bio. Non-profit Global Inheritance is an organization that has developed a number of projects meant to draw people's attention to waste at festivals, and how to make the experience of going to an event like Coachella more green. For example, TRASHed Art of Recycling is both an educational program about recycling and an opportunity for artists to make work with collected objects. Attendees collect points for the trash they pick up and recycle, turning cleaning up into a community scavenger hunt. Meanwhile, artists redesign and decorate recycling bins, adding to the colorful and celebratory atmosphere of a festival. Global Inheritance also encourages concert attendees to carpool to make their carbon footprint (and traffic) a bit more manageable. 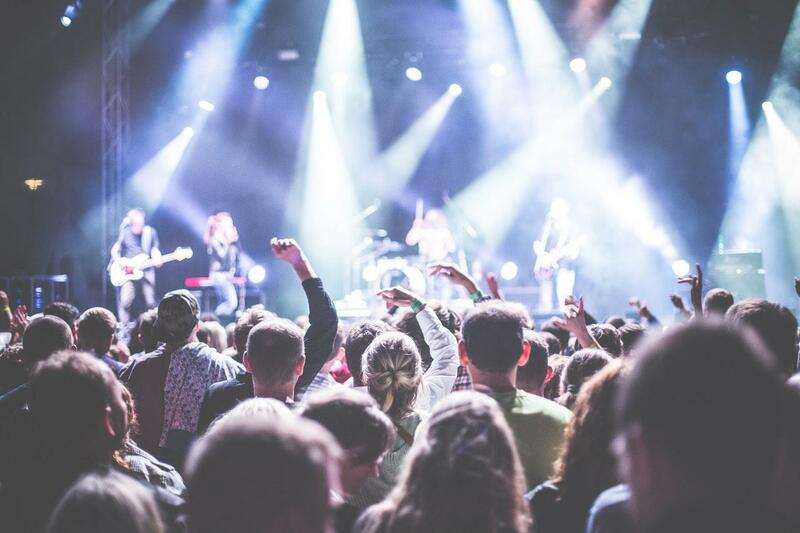 "Experiential events like concerts, festivals, and conferences are increasingly important cultural moments across the world. These large-scale and global pop culture moments present incredible opportunities for our team at Lonely Whale to not only reach a large audience but also to engage a new demographic who otherwise might never have been aware of the environmental impact of plastic and their ability to create positive impact. Take an ampitheater like The Gorge, operated by Live Nation, for example. The Gorge seats over 27,000 people during one concert - now imagine how many single-use plastic straws The Gorge will help remove during just that one concert!" Lonely Whale is offering a free guidebook for their Strawless Ocean campaign. A straw may seem like a small thing, but the Lonely Whale team call it a "gateway plastic." Something we barely think about accepting, using, and throwing away. But straws add up to approximately 12 million pounds of plastic waste every single year. People will remember the lessons they learned while grooving at Coachella this year when they're back home again, and that home could be anywhere in the world. That's a very wide-reaching message.